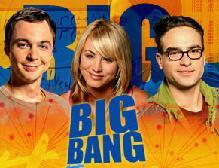 There’s a TV show on CBS called “The Big Bang Theory “. The show consists of 2 nerdy guys and a hot girl who lives next door to them. The main plot of the show seems to be “socially uncalibrated nerd rationalizes with girl, girl rolls eyes and walks away annoyed”… rinse… repeat. Women LOVE this show… I can only assume they can relate to it. ‘I sent this woman whose profile I’d just seen an email, in which I asked her if she gets a lot of emails from guys telling her their life stories trying to impress her with what nice guys they are. Whoa. Man you’re doing this all wrong. I need to put you in detention for a week or something. I feel for you… I think everyones been where you are right now. Heres the problem: You’re trying to RATIONALIZE with a woman! Shame on you. Its like trying to talk to a brick wall. Ever hear the phrase: ‘Men are from mars and women are from venus’? We (Men) rationalize, women don’t. You’re trying to get her interested in you by making her think. Not good. You basically showed her through your actions that you were a wuss and didn’t know what’s ‘Up’. It’s o.k. because you need to look at, and think of every interaction as a learning experience. So what can you learn from this interaction? You should stick with the 5 step template from my Insider Internet Dating product. Don’t have it yet?! Give Insider Internet Dating a shot without risking a penny. Take it for a 30-day test drive and you’ll wonder how you ever got along without it! Stick to the system until you’re able to deviate from it. How NOT to Reply to Women When Online Dating by Dave M.